Ask a trivia question about any major world event since 1914, and Khristian Paul can give you answers. Paul, 18, is passionate about history, or in his words, he’s a bit of a nerd on the subject. The Lake City High School senior likes the subject so much that he twice enrolled in Advanced Placement European history. 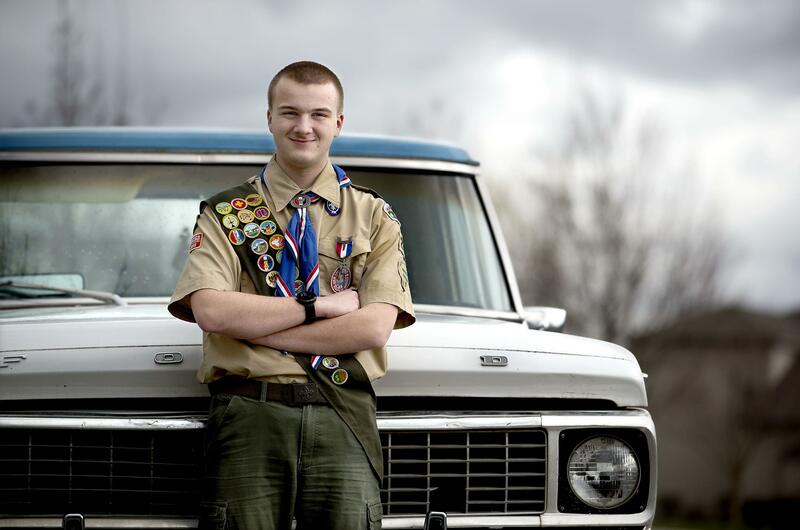 He’s also an Eagle Scout, and Paul has balanced all this while dealing with Asperger’s syndrome, a high-functioning autism spectrum disorder. Diagnosed in fifth grade, he said he’s learned how to finish goals, despite what he describes as a short attention span and tendency to be obsessive about interests such as history. Teachers allow him to use a computer to fill out assignments normally handwritten, because Paul’s script appears closer to ancient Cyrillic alphabet letters, he said. He prefers taking honors classes and other tough courses, and spent hours studying AP physics. He doesn’t regret voluntarily repeating AP European history. “My teacher suggested I be a (teaching assistant), but I’d get too bored with that, so I took the class again,” Paul said. John Grimm, Paul’s former scoutmaster, recalled a conversation during a 50-mile trek through Yellowstone. Another adult leader mentioned a wartime milestone, and Paul gently corrected him on a key fact. Grimm said he knew Paul had it right. “I’d say, “Think twice before you correct Khristian on anything about history, because he knows his history,’” Grimm said. Paul’s Eagle Scout project spruced up an outdoor area for Children’s Village in Coeur d’Alene, a safe-haven facility for children in abuse or crisis situations. He led volunteers to build a retaining wall around a play structure, apply gravel and clean up grounds. After graduation and college, Paul hopes to work in the foreign service, perhaps at a U.S. consulate. He plans to attend Whitworth University. Paul is the eldest of six children, four of whom were adopted, and he enjoys baby-sitting his younger siblings. Last summer, he traveled cross-country with his father to, among others places, San Francisco, New York City and Washington, D.C., where he spent eight hours in the Smithsonian National Air and Space Museum. His mother, Lori Paul, said her son has overcome many obstacles to reach his achievements.